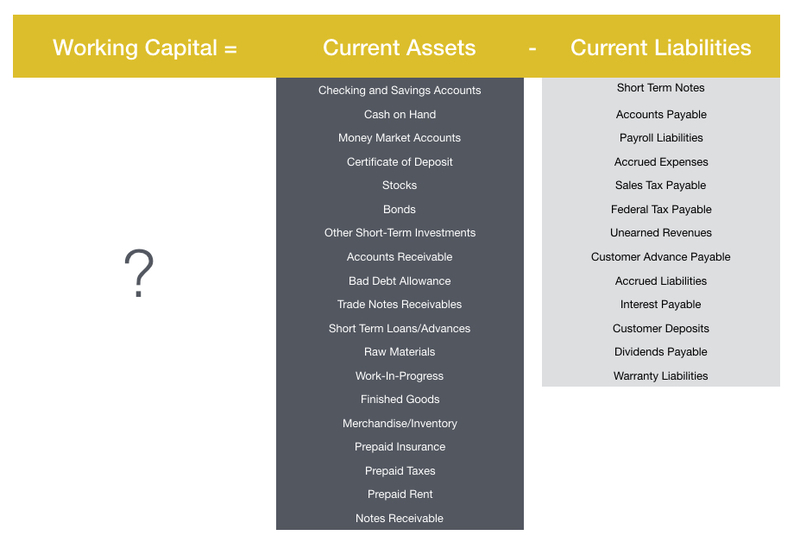 Working capital is a term more frequently heard than understood. The definition, what’s included, what isn’t, and expectations tied to it all emerge, too often painfully, in the sale of private businesses. To make matters worse, negotiations around working capital usually occur late in the transaction, with critical calculations frequently killing deals at the eleventh hour. Working capital is a topic that seems inconsequential to first-time sellers and is dreaded by those with deal experience, both for very good reason. Without appreciating the consequences, sellers often think, mistakenly, most of the company’s liquid assets will flow to them at close. Experienced buyers understand how a company must be capitalized, and working capital is a crucial component in setting the table for future success. I use two analogies with sellers — 1.) If a company is a body, working capital is the blood. 2.) Working capital is a bucket that must be topped off so when profits accrue, they cause the capital bucket to overflow and spill out into the owner’s pocket. When most private companies are sold, the buyer expects to purchase a “going concern,” meaning that the business is actively operating. It will, through the natural state of activity in the marketplace, have assets (e.g. inventory) flowing in and liabilities flowing out of the company. This ongoing flow represents the working capital. The difference, or the “net,” is known as “net working capital,” the “blood” of the company, or the “water in the bucket.” To illustrate in numbers, if a company has $5 million in Current Assets and $2 million in Current Liabilities, its net working capital is $3 million. So the buyer expects the seller to leave Current Liabilities and Current Assets in the business necessary to arrive at $3 million of net positive current assets. This seems simple enough on the surface, but look a layer deeper to evaluate what is included, relevant, or could be uniquely applicable to the seller. And remember, the lists below are not nearly exhaustive. Without working capital, a company can’t meet short-term obligations like payroll, stocked inventory, or vendor payments. It’s a body with no blood. It’s an unfilled bucket. The company grinds to a halt, employees become jittery or flee, and the fixed assets, like property, plant, and equipment, are worthless beyond liquidation value. The body is slowly taken over by rigor mortis. Needless to say, it’s a dire situation. Outside of a transaction, it would be sufficiently difficult for an owner to detail their working capital needs. Frankly, most privately-owned businesses navigate by their gut just fine. But when the complexity of a sale is layered on top of this analysis, it’s easy to get lost, fast. Most sellers see their paid-for inventory and accounts receivable as “my money”, and they’re right. All net working capital is either accrued profits or capital injected into the company, those are the only sources. Whether it’s widgets or receivables, the owner’s capital is sitting in the company in an illiquid form because the company needs it to perform. In most situations, the working capital required is whatever the business needs. If that sounds circular, it is. Many factors come into play, but when added up, how much working capital a company needs is fairly black-and-white. Just check the balance sheet. If it’s so straightforward, why is it controversial? Because often the business could be operated with less working capital. The argument is that if the company factored receivables, started slow-paying bills, gave customers early-pay discounts, or financed inventory, it wouldn’t need as much working capital. Of course that’s the case, but then we are talking about an entirely different company. The entrepreneur who built a successful business and the leadership team that managed it almost always make smart, profit-maximizing decisions. In the vast majority of situations, slow-paying vendors selects for poor performers and offering early-pay discounts eats into already-thin profit margins. Factoring receivables is expensive and banks are reluctant to stretch on working capital lines, especially for smaller companies. There is often a compelling reason for the way an owner or management team has structured payables, receivables, and inventory. The business has been run to maximize shareholder value and the buyer is paying a multiple on that future stream of economic benefit. If the internal mechanics are hypothetically adjusted in a material way, then the business model changes, which necessitates a different (and usually lower) multiple. $3 million of income quickly turns into $2 million of income with major changes to working capital practices. A 4X multiple on a stable company drops to 3X with major prospective structural changes. I once came across a company that carried “too much inventory” based on all the best corporate finance rules. Advisors to the company adjusted to their hearts’ delight and presented what seemed like a justifiable proposed net working capital figure. As we dug deeper in due diligence we realized part of the company’s competitive advantage was their ability to sell products the same day out of inventory held on hand, while their competitors required 3 to 5 business days. All the rules of thumb pointed to a valid adjustment, but value came from holding slightly more inventory than seemed reasonable. If it changed suddenly under new ownership, this would have eroded trust with customers and ultimately caused a decline in the business. The bottom line is that either the business model is adjusted and a different purchase price is paid, or the business continues to operate as it has been operated and a consistent amount of working capital is included in the sale. Buyers typically propose one of two net working capital structures: an explicit numerical value, or a formula. An explicit value means that whatever assets and liabilities are required to arrive at the proposed amount are included, and anything “excess” would either be compensated for separately (e.g. excess inventory) or excluded from the sale (e.g. personal investment accounts managed through the company). By using an explicit number, neither the buyer nor the seller should be surprised at close. But, if dynamics change in the business between when the offer is made and the time of closing, it can be potentially detrimental for one side. Alternatively, a formulaic offer allows the specific value to be determined closer to the closing date. An example of a formula would be a trailing twelve month average of net working capital. While this delays discussion of what assets and liabilities will count in the eyes of each party, as explained earlier, it can lead to eleventh hour complications when one or both sides realize there is a substantive gap in expectations. When working with a reputable buyer, their goal for the company is not to need a blood transfusion or to fill the bucket immediately following closing. In other words, they already wrote a check at close, they don’t expect to write another one, unless it was factored into the price. Cash provides a good example of a Current Asset that may look like a potential gain for a seller if excluded from the transaction, but which usually just changes optics, not the facts. Here’s how it works: The seller says cash is excluded from the deal, but, in looking at the historic financials, the company requires $1 million in cash to meet variations in short-term liquidity. So, the buyer makes an offer to purchase the business for, let’s say, $20 million, of which 75% will be delivered at close. The catch is that the seller will receive $14 million, not $15 million, at close because the buyer will designate $1 million to go to the balance sheet to fuel future operations. In the end, $1 million stays with the business one way or another, because it’s needed. There are exceptions to merely looking at what working capital is required, with the most common exception being seasonality. Some businesses experience large swings in demand for their products. For instance, it’s not uncommon for 70% of a candy company’s sales to come in a six week period around the holidays. When seasonality is present, working capital must be normalized. The seller doesn’t get to bottom-tick and the buyer doesn’t get to top-tick. There’s a middle ground that must be negotiated. High growth provides another exception and while those companies typically command a premium, they also require more working capital. Growing businesses must keep pace with revenue, and that typically means more inventory and more receivables will be needed. While historically the company may have only needed $3 million of net working capital, it currently needs $5 million and will need $6 million a month after close. The buyer in this case has two choices — ask the seller to include the necessary amount or fund it separately from the purchase. Either way, the need must be taken into account if the business wants to avoid becoming hamstrung. A third exception includes third party requirements. If, for instance, the company requires a certain level of absolute assets to meet covenants in another agreement (e.g. bonding, supplier), that can supersede the practical need and provide a high barrier to closing. Ultimately, a business needs short-term assets to operate. Buying a business without the necessary net working capital is like buying a body with no blood, or a half-full bucket that isn’t going to overflow — it just doesn’t work. A seller is right to beware of buyers who try to “make money” on the working capital, but they can’t make money on it either.